UK TELEGRAPH-Scientists found a skull, with its mouth agape and a large slab of rock forced into its mouth, while excavating a mass grave dating from the Middle Ages on an island near Venice. 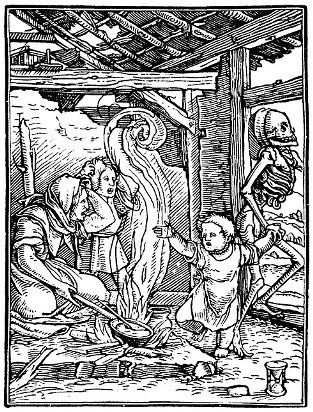 Female "vampires" were often blamed for spreading the plague epidemics through Europe, said Matteo Borrini of Florence University. 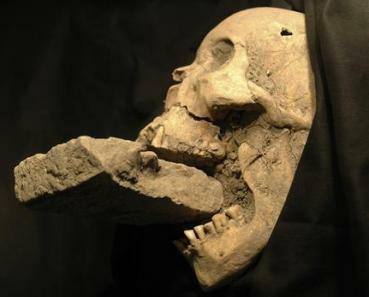 Wedging a rock or brick into the mouth of a suspected vampire was a way of preventing the person from feeding on the bodies of other plague victims and rising from the grave to attack the living, he told a meeting of the American Academy of Forensic Sciences in Denver last week. The idea that plague victims might also be vampires may have arisen because blood often dribbled from the mouths of those who died from the disease. 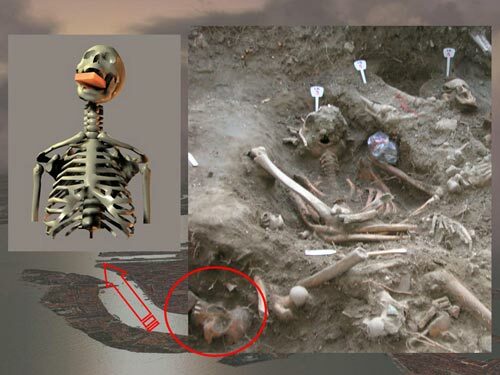 The woman's skeleton was found in a mass grave which was established on the island of Lazzaretto Nuovo, in Venice's lagoon, when plague swept the city in 1576. 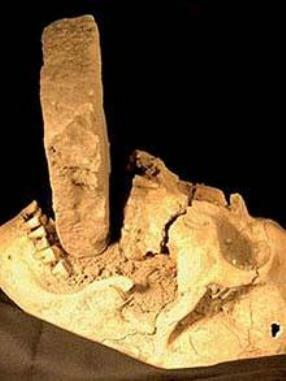 Dr Borrini said gravediggers shoved the brick into the woman's mouth with such force that it broke some of her teeth. 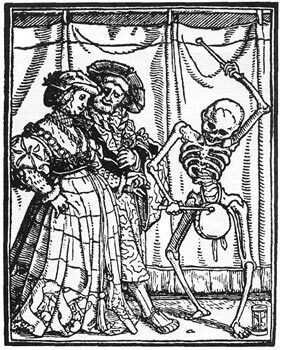 Gravediggers would check corpses for any sign that they had bitten or chewed on their shrouds – a sure sign of vampirism, he said. Venice was particularly hard hit by the plague – when a later wave of the Black Death swept through the city between 1630 and 1631, the epidemic killed 50,000 out of the population of 150,000. 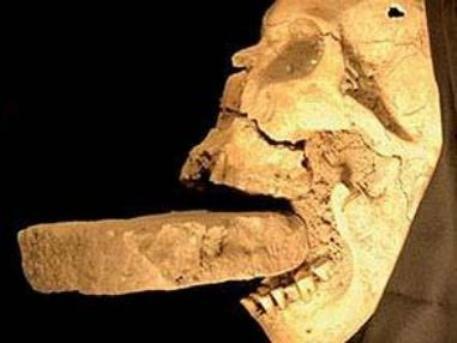 The skull could be the first such "vampire" to have been forensically examined, Mr Borrini said. However, another expert in the field said he had found similar skeletons in Poland.